The UK’s best selling DIN specification air brake coils that are truly flexible, durable and reliable, developed and manufactured by Copely to the highest criteria. Manufactured from heat and light stabilised Type 12 Nylon to precise tolerances in accordance with DIN 74323, DIN 73378 & DIN 74324. High resistance to moisture absorption. Available in Eurocoil, Push-In Coil and Continental. 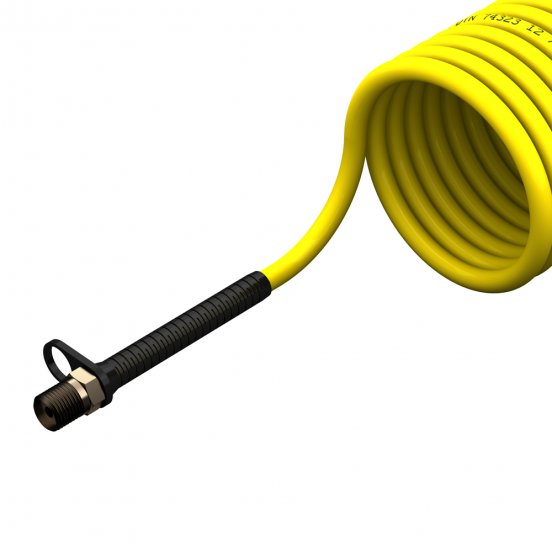 Incorporating 12mm nylon tube manufactured to DIN 74323, DIN 73378 & DIN 74324 standards. End fittings include a push-in fitting, colour-coded anti-kink spring. DIN spec compression end fittings including colour-coded anti-kink spring.